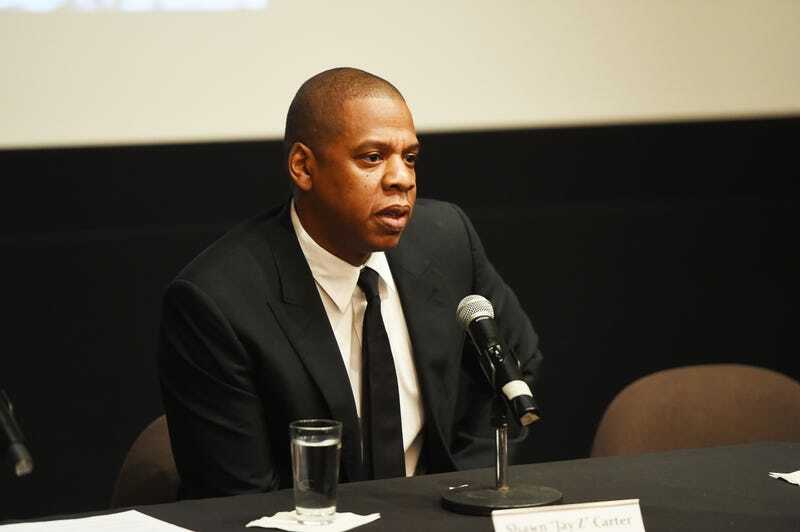 Shawn “Jay Z” Carter participates in a panel during announcement of a documentary on the life of Kalief Browder on Oct. 6, 2016, in New York City. Jay Z is taking his talents to television through his new partnership with the Weinstein Co. and is producing a miniseries based on the life of the U.S. Army’s first African-American special-ops sniper, Nicholas “the Reaper” Irving. The NBC show will star Sterling K. Brown and will be based on Irving’s memoir, The Reaper: Autobiography of One of the Deadliest Special Ops Sniper. In addition to Irving's story, Jay Z is producing the Richard Pryor biopic, which Lee Daniels will direct. And Jay Z is bringing yet another important story to life with a Spike TV documentary based on the life of Kalief Browder, the Bronx, N.Y., man who committed suicide after being released from New York City’s Rikers Island jail, where he spent two years in solitary confinement.